This week has been filled with events and traveling. The week started with SPADAGARNA, the Swedish Spa association’s yearly event. 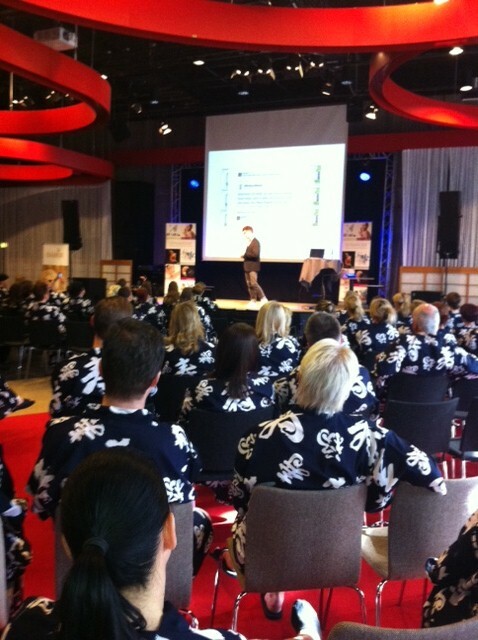 The location for the event was the beautiful archipelago of Stockholm, at the Yasuragi spa. It is a large spa and conference resort / hotel, with a beautiful view over the sea, over the small islands and the inlet to Stockholm. Yasuragi is a strongly conceptualized Japanese spa and has a very special ambiance. All the guests, even those who attend conferences (not just SPADAGARNA – any conference) are all dressed in dark blue yukatas (Japanese style bathrobe) and slippers. (see picture) This dress code goes for the whole stay, even in the dinner restaurants! He also mentioned a very nice and positive trend; Random act of kindness, which more and more companies use. Surprising giveaways without expecting anything in return, will make people talk…For example the airline company that delivered Christmas gifts on the luggage belt (before the actual luggage arrived), to all passengers, flying the day before Christmas, now this will make people talk! One can wonder; Is this the coming marketing trend? 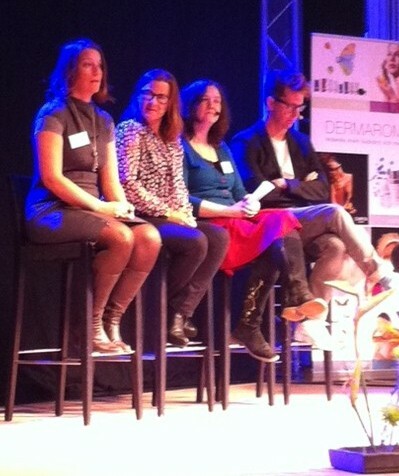 Anna was also part of a panel discussion about sustainability and the environment aspect in spas. How are Swedish spas doing compared to spas in other countries? Well, we have a lot to do in Sweden, although Swedes are very concerned about the environment, spas are still way behind. Anna suggested a Swedish network that would discuss environmental issues in spas as well as highlight and discuss initiatives that can be done in spas.